Hamstead opened the then-LNWR's Grand Junction route as Great Barr station in 1862. 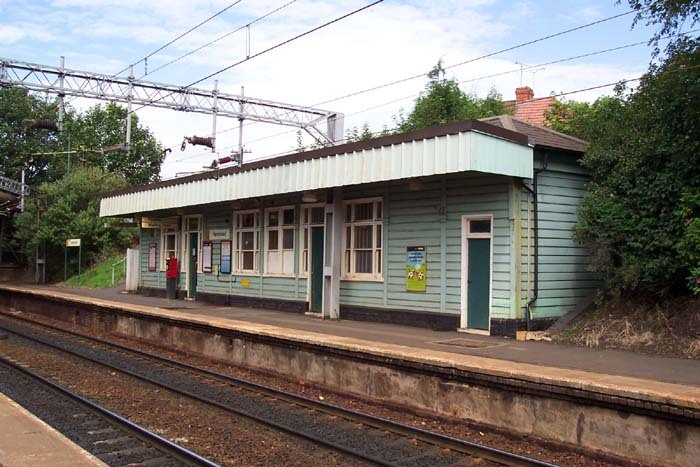 In terms of notable historical facts, the station has, although it retains an old-style appearance, undergone considerable changes. 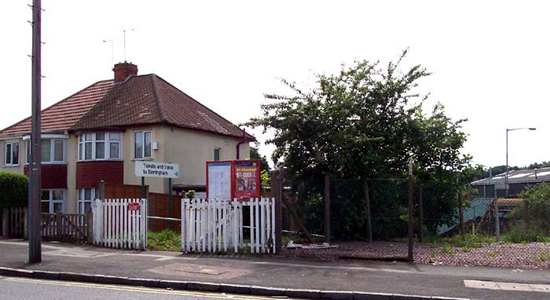 When originally built, the station occupied the other side of Old Walsall Road from its current location. Thus, whilst the station building is of considerable age, it should be borne in mind that this is not an original structure. However, the precise date of the move is unknown to me (anyone with any information please let me know) but looking at the architecture of the structure it could easily have been the turn of the last century. 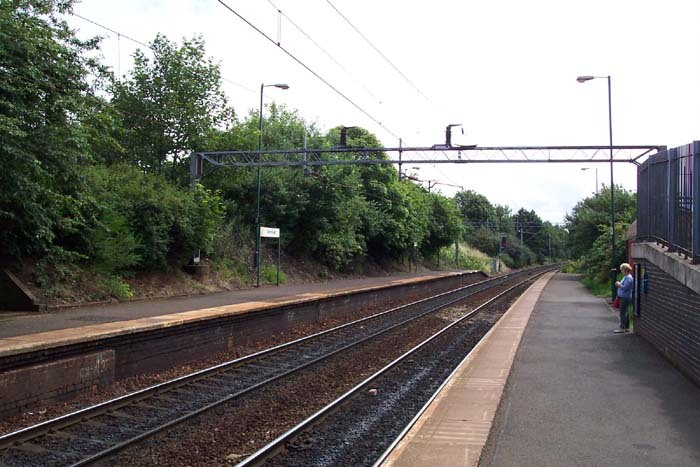 Above we see the entrance to the Birmingham platform and sole station building from Rocky Lane. 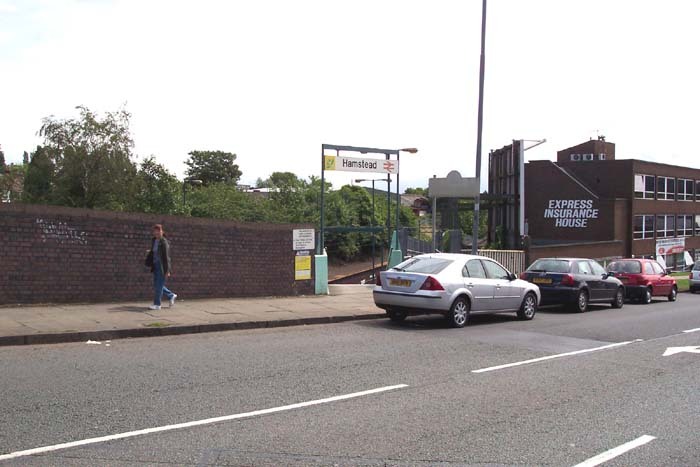 Above-left we are on Old Walsall Road looking across to the equally inspiring entrance to the Walsall platform. Above-right we are standing on the Walsall platform having entered the station via the stairwell that leads down from Old Walsall Road. We are looking in the direction of Birmingham with the modern-day addition to many stations - a disabled access ramp - encroaching to the right of the shot. Above-right we are in roughly the same spot as for the previous shot but this time looking in the direction of Walsall through the Old Walsall Road bridge. Through the bridge is the site of the original Great Barr station and, following its re-siting, goods sidings that lay to the right of the shot where a new industrial unit can be made out. I would assume that, with Hamstead Colliery a short distance away, coal wagons would have been used in these sidings.